This is Extension parts only, MS body is not included. Over-the-counter sales MS body (sold separately), jointly expanded set that can reproduce HWS equipped type! ※ MS body is not included in this product. 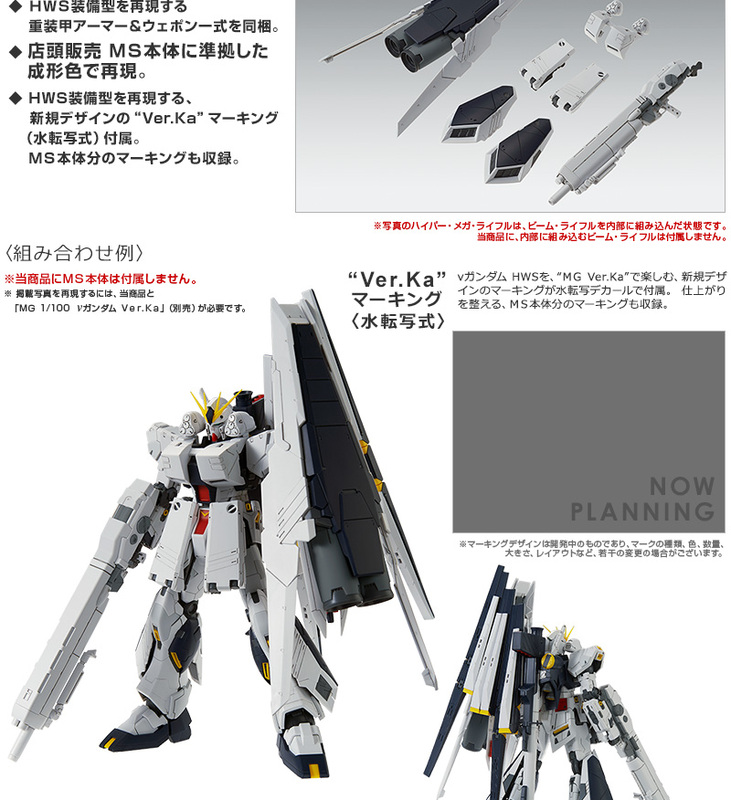 Joint to the over-the-counter commodity "MG ν Gundam Ver.Ka" (sold separately), set the parts that can reproduce the ν Gundam HWS equipped type, and commercialize it as an HWS expansion set. - Includes heavy armored armor & Weapon set to reproduce HWS equipped type! ● Over-the-counter Sales Reproduced with molded colors conforming to MS body! ● Enjoy ν Gundam HWS with "MG Ver.Ka", marking of new design comes with a water transfer decal! Also arrange the finish, marking of MS body also included. 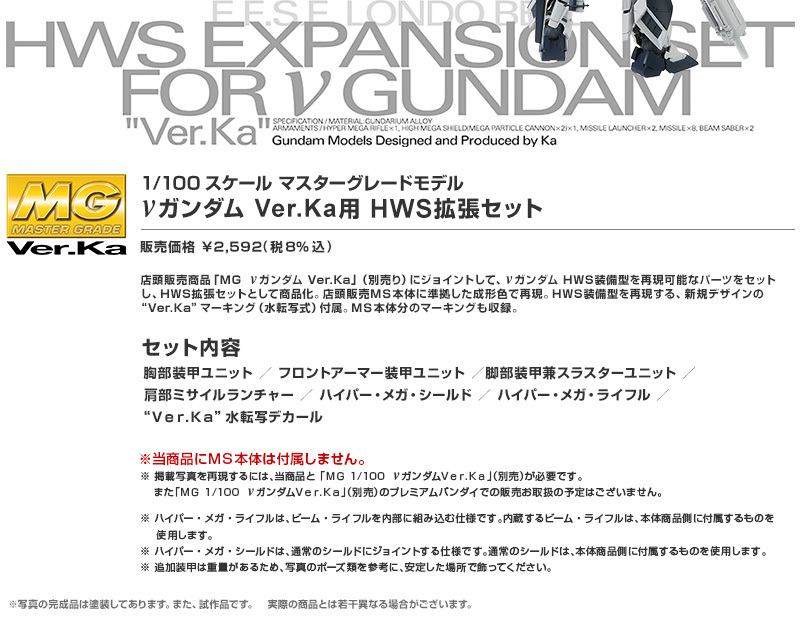 It is a set of 'heavy armor armor and weapon' for reproducing "HWS (heavy weapon system) equipped type". ※ Hyper · mega · rifle is a specification that incorporates beam rifle inside. Use built-in beam / rifle that comes with the main product side. ※ Hyper · mega · shield is a specification to joint with ordinary shield. For ordinary shields, use the one attached to the main product side. * Since additional armor is heavy, please decorate with a stable place referring to the pose of the picture.